If you loved alphabet soup as a child, you’ll love this. Our old friends at ASTM decided on an arc test method to help you decide on the relative safety of flame-resistant garments to protect you from the heat and flame by-products of an arc flash accident. (This has nothing to do with electric shock protection.) An arcing fault can release tremendous amounts of concentrated radiant energy in a small fraction of a second. You get incredibly high temperatures in a pressure blast, possibly hurling debris over 700 miles per hour (yes, faster than your last commercial plane ride). You don’t want to be there without good protection. 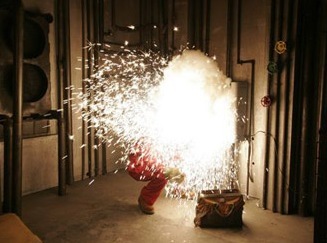 Cutting to the chase, the ATPV is the level at which you have a 50% chance of getting a second-degree burn while wearing a specific fabric in an arc-flash accident. A second-degree burn causes blisters and some destruction of the top layer of your skin. 1.2 cal/cm² is considered to be the energy required to produce the onset of a second degree burn, so this number is used as the benchmark for protection. So, for example, CEC2OR give you only a 50% chance of getting a second degree burn when the arc flash thermal energy is all the way up to 9.3 calories per cubic centimeter. Incidentally, working around systems where the incident energy is above 40 cal/cm² is prohibited by the NFPA (National Fire Protection Association). Sometimes a fabric will actually break open before it transmits enough heat to cause a second-degree burn. In that case, you’ll see an EBT, or Breakopen Threshold Energy rating. Bear in mind also that you can still be injured from heat to a slight extent (reddening of the skin, a first-degree burn) even if the incident energy is below the ATPV. So watch where you drop that screwdriver, and always wear appropriate protection. And eat your soup. 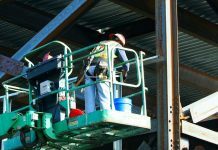 Visit WorkingPerson.com for all your flame-resistant workwear needs. For more information on what FR fabrics are best for you, FR Clothing Testing and Standards, updates on 2012 FR Clothing Standards and more remember WorkingPerson.me.